We are posting a Revised Final Programme that takes care of the outstanding concerns of participants regarding the timing of the panels they were presenting at or chairing and to make room for an exciting new special session. After weeks of hard work, we can finally announce that the first session on Friday will be a Special Plenary featuring Dr Miguel Angel Perez Pirela from Venezuela, a political philosopher, writer, international analyst, essayist and columnist, Director of the Area of Sociopolitics and Culture of the Institute of Advanced Studies, Editor-in-Chief of the academic journal Revista de Estudios Transdisciplinarios (RET) and director of the daily TV program “Cayendo y Corriendo” in Venezolana de Televisión (VTV) and the radio program “Tactics and strategy” in Radio Nacional de Venezuela (RNV). He will be speaking to the theme ‘Venezuela: Revolution under destabilization, blockades and media war’. Given how important the fate of Venezuela is to any emerging revolutionary politics, we hope you will agree with us that this is a most fitting special session to start our deliberations with. Please check for your name and note the sessions at which you need to be present. You don’t have to print this programme out: we will have a kit for all presenters upon arrival which includes the printed programme. Looking forward to this most engaging of conversations. 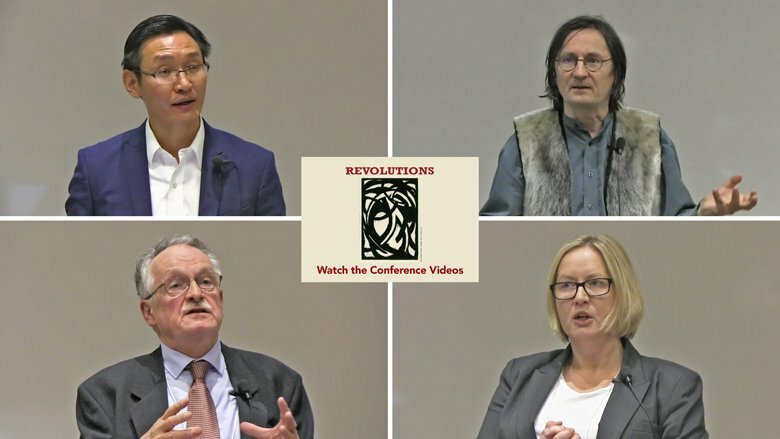 In the 100th anniversary year of the Russian Revolutions, our conference focuses on the theme of revolution. We want to speak to the widespread and widely varying causes, contexts, conditions and consequences of modern revolutions. 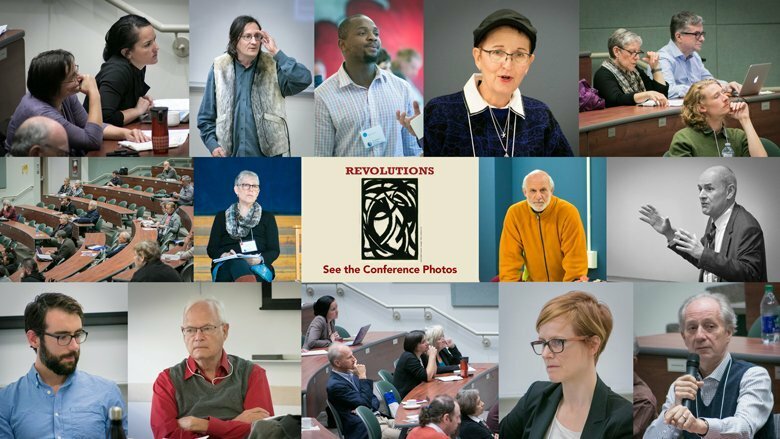 We, the applicant and co-applicants, members of the Geopolitical Economy Research Group (GERG), will hold an international multi-disciplinary and student-supported conference on ‘Revolutions’ at St John’s College, University of Manitoba from 29 September to 1 October 2017. As inequality, unemployment, indebtedness, social conflict, political awakening (including among indigenous peoples in Canada and internationally) and political polarization mount, the world appears poised on the cusp of radical and thoroughgoing social transformation, though of uncertain direction. War, international tensions and instability, which have historically been linked to revolutions are also rising, possibly heralding a major transition in the structure of the world order. Therefore, on the 100th year of the Russian Revolution, which started the cycle of 20th century revolutions that spread to China and thence to the Third World in nationalist, socialist and other forms, we ask whether revolutions will persist and/or whether radical social transformation will take new and distinct forms. By inviting papers from across the disciplines, around the world and from students and scholars, by selecting a broad range of innovative scholars from around the world as keynote speakers, and the support of students and key research institutions and journals in Canada and internationally, the conference aims to establish fresh, historically sound, inter-disciplinary and truly international perspectives on this major and recurring historical phenomenon and ensuring that scholarship on it is refreshed and revived for coming generations. In particular, we hope to place Third World Revolutions and indigenous struggles in the longer lineage of modern revolutions and to explore the relevance of revolutions to the possibilities of radical transformation within societies and in the world order to inform public discussion and understanding of ongoing developments in Canada and the world. The revolutions that ushered capitalism in, and those that have sought to usher it out, have been a central phenomenon of modern history (1500-2016). The Russian Revolution was, by common consent, the most important event of the twentieth century, shaping the outcome of the two world wars and the Cold War. “Revolutions,” also share a fraught history with the broader democratization of life the world over. They have reshaped the structures of colonialism and imperialism, patriarchy and racism and the promotion of, or reaction to, revolutions constitutes central part of social and political thought. Our conference will consider who carries out revolutionary change, the extent of that change and its cost. Attempts to contain or spread revolutionary ideologies and forces have played, and continue to play, pivotal roles in international affairs. Our conference therefore aims to both deepen understanding of the social, political, economic and cultural factors that led to revolution and the past history of revolution and their contemporary relevance. A Call for Papers is being widely circulated on the conference website, GERG’s nearly 2000-strong email list, email lists and websites of supporting institutes and journals and those of relevant learned societies. We will constitute an inter-disciplinary International Advisory Committee (IAC), mentoring and assisted by undergraduate and graduate students, to maintain academic oversight of the conference, including peer review, to ensure high quality outcomes. Given the wide publicity, we expect to receive 200-300 proposals from academics and graduate students world-wide. Peer review of proposals and papers will narrow that to 150-200 final papers which will be organized into 67 thematic panels and 5 plenary Keynote lectures.